Purchase Daniela Millan jewelry at Ole Unlimited! Daniela Millan will be showcasing her jewelry designs with Aquarella Swimwear at Mercedes-Benz Fashion Swim Week in Miami on July 18th 2011! Follow Daniela Millan Jewelry on Facebook and Twitter! 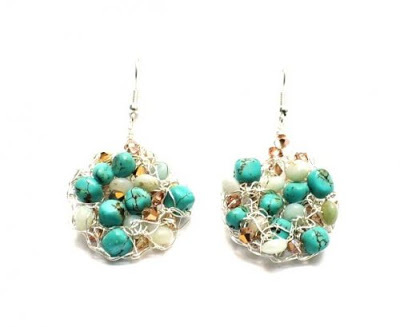 I've never heard of this designer before, but I love the earthy, organic look of the jewelry. I love these designs, they are fresh and at the same time they transmit a sort of luxury. Cool!